I am participating in this group show. 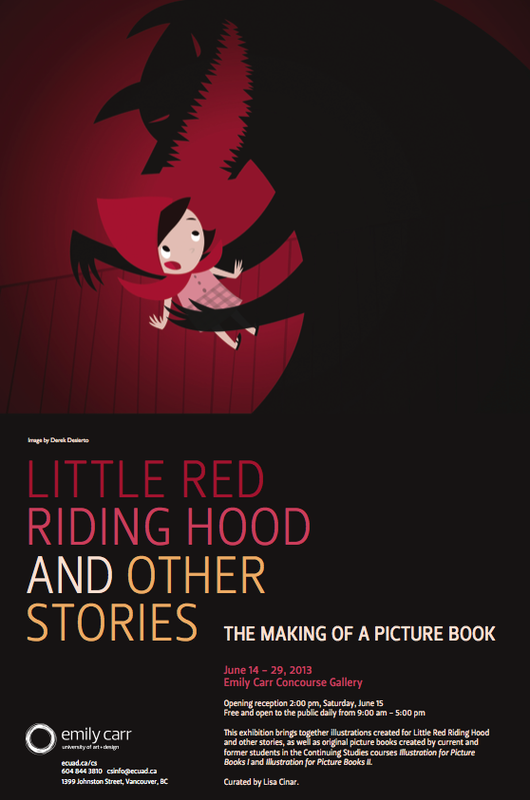 Please join us on Saturday June 15th at 2 pm at Emily Carr University of Art & Design for the opening reception of Little Red Riding Hood and Other Stories - The Making of a Picture Book. Curated by published illustrator, author and faculty-member Lisa Cinar, this exhibition brings together illustrations created for Little Red Riding Hood and other stories, as well as original picture books created by current and former students in the Continuing Studies courses Illustration for Picture Books I and Illustration for Picture Books II. I will be sharing some illustrations for Little Red Riding Hood and my own picture book in the making.